A lonely boy becomes a hero who establishes a nation; a daughter who is abandoned becomes a goddess who manages death; a wife and husband, both ordinary people, become a queen and king in a foreign country or gods of a country. These stories show that if people take advantage of their merits and use their power in support of others, they can accomplish wonderful things and gain happiness even when they possess nothing special. The reason that these stories survive for such a long time without being forgotten and move the people who read them is that people consider the thoughts and feelings in these stories to be precious. Reading the classics is similar to the experience of communicating across time. The world of classics, which appears interesting and mysterious, also contains the dreams and hopes of contemporary people. Even though the past has disappeared, we are encountering the dreams and hopes of people from olden times as you read the classics and fall into the world of these stories. An Associate Professor in the Institute of Korean Studies at Yonsei University, South Korea, Dr. Key-Sook Choe’s main research fields include Korean classical narrative, Korean printed media during the early modern period, gender studies, and affective studies. She received her Ph.D. from the graduate school of Yonsei University, where she specialized in Korean classical literature. Published books include Cheonyeo-gwisin (Female Ghosts), 2013; Joseon sidae Eorini Inmunhak (Humanities for Children in the Joseon Period), 2013; and Hwansang (The Fantastics in Literature), 2003; published collaborations include Jipdan Gamseong-ui Gyeobo (A History of Collective Affects), 2017; Bonjour Pansori! (in French), 2017; Gamseong Sahoe (Affective Society), 2014; and Gamjeong-eui Inmunhak (Humanities of Emotions), 2013. 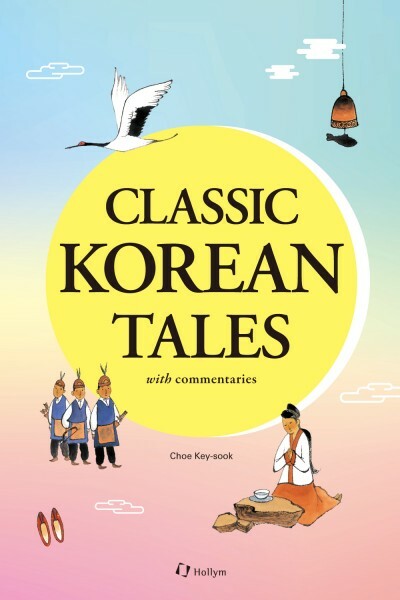 Weiterführende Links zu "Classic Korean Tales"
Unser Kommentar zu "Classic Korean Tales"
Kundenbewertungen für "Classic Korean Tales"